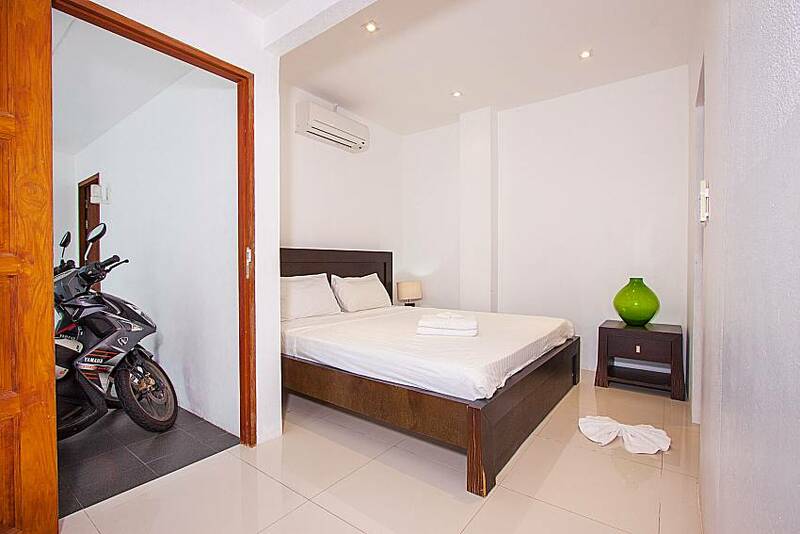 Please be advised this villa only accepts one person of the same gender per bedroom except couples or families. 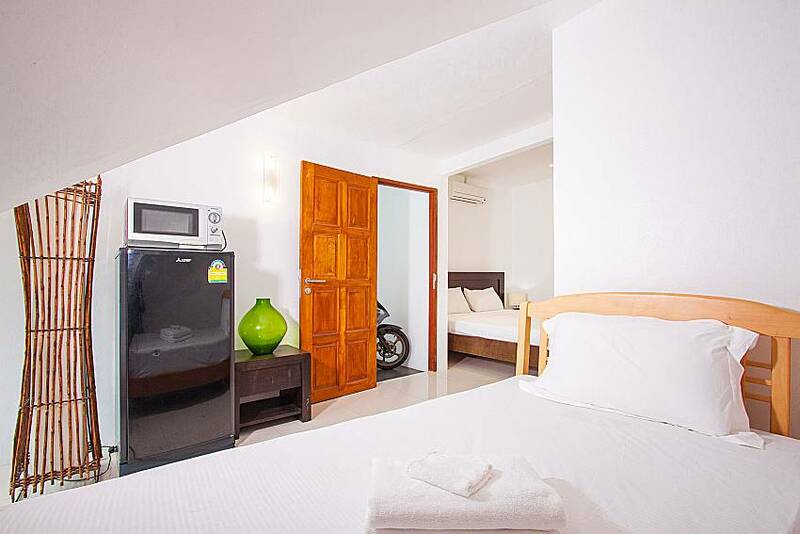 *Note: The third bedroom is an annex with a separate entrance from the garage. 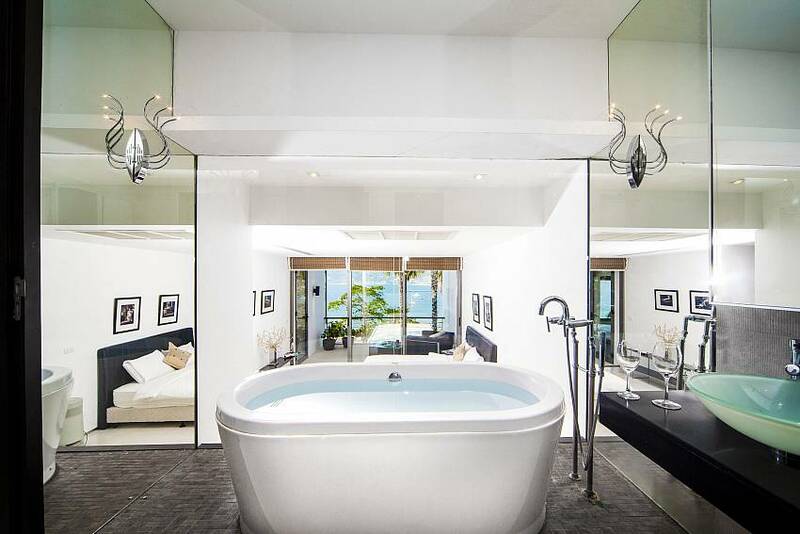 This three-bedroom villa is located 1.5 km from the celebrated Patong Beach in a modern estate on Phuket. 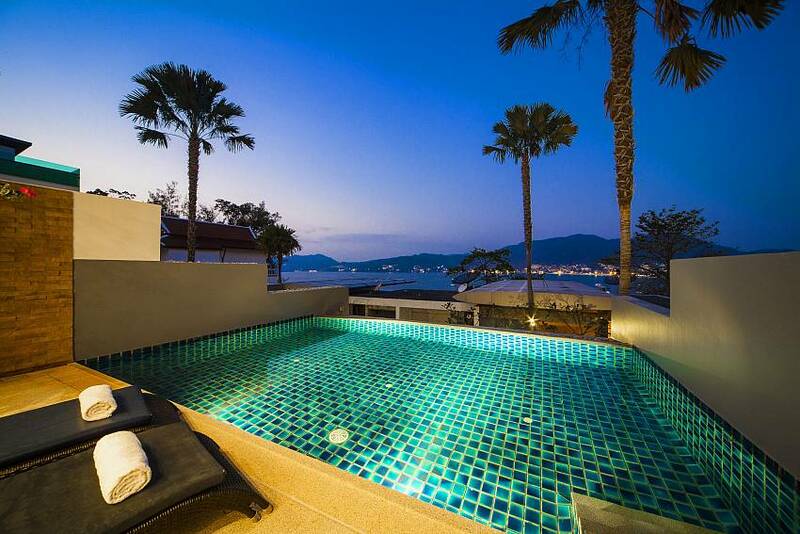 Surrounded by high walls, the villa has a cozy terraced area with a private swimming pool, tables and chairs, sun loungers. 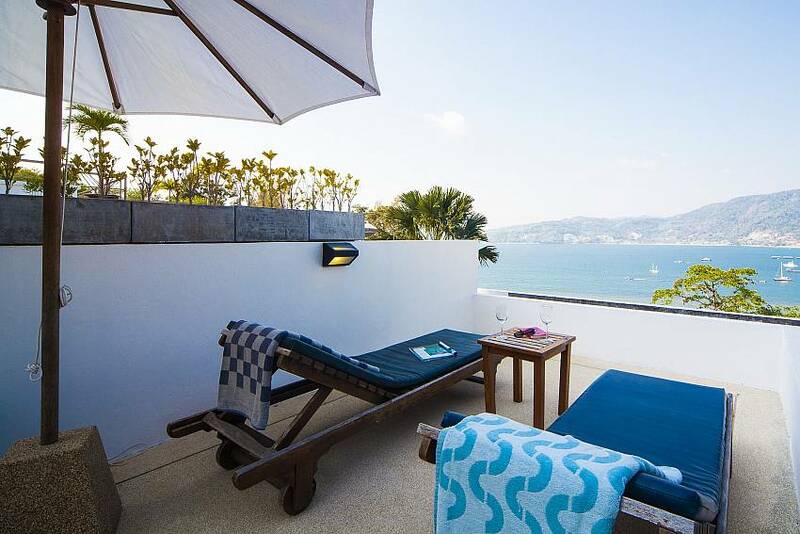 This villa would suit the discerning traveler looking for local beaches, nightlife and restaurants and being able to return the amazing sunsets in their private villa with panoramic views over the bay. 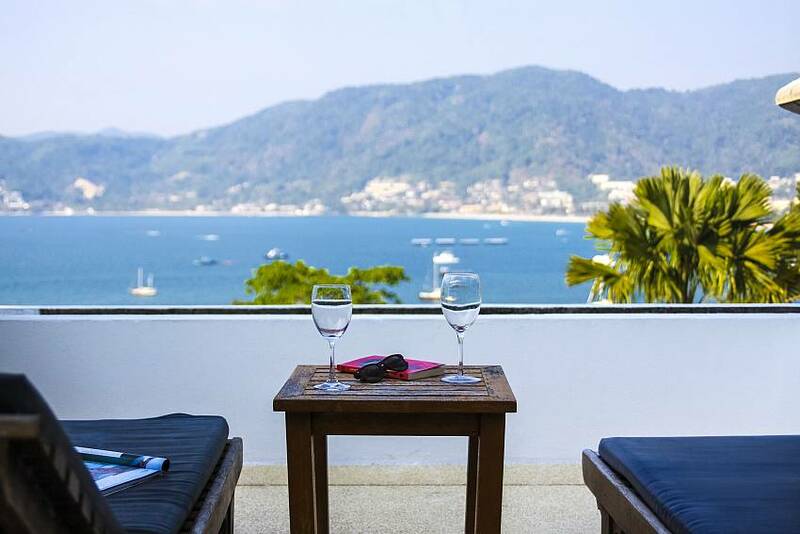 Overlooking the pool is outdoor seating and loungers, ideal for relaxing in the shade. 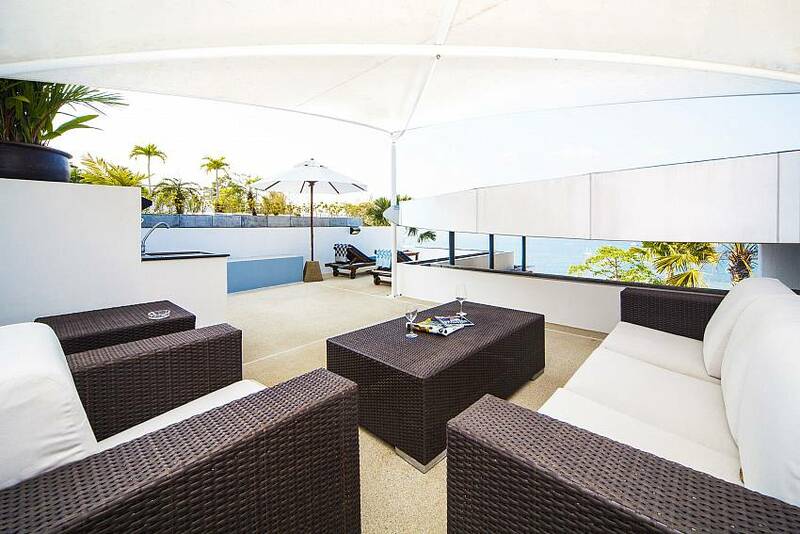 The terrace leads directly into the main living area with its open-plan layout. 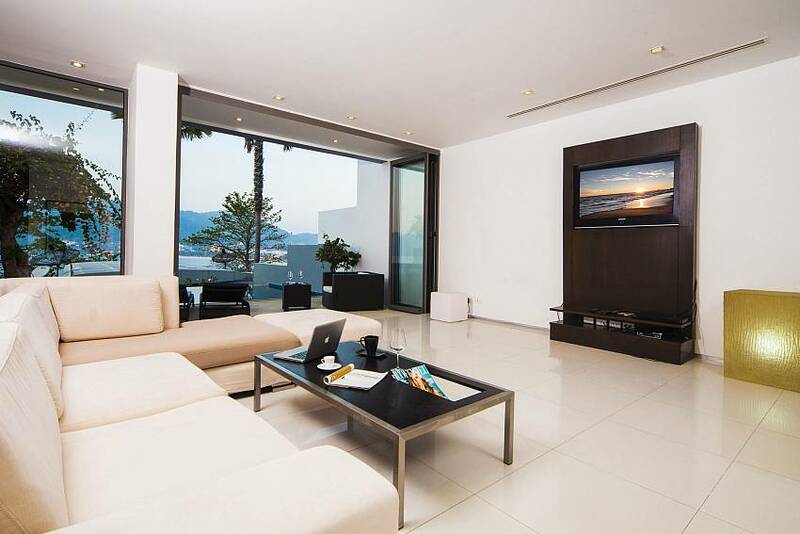 The living area has a lounge area with a 42” flat screen TV, dining room and Western-style kitchen. 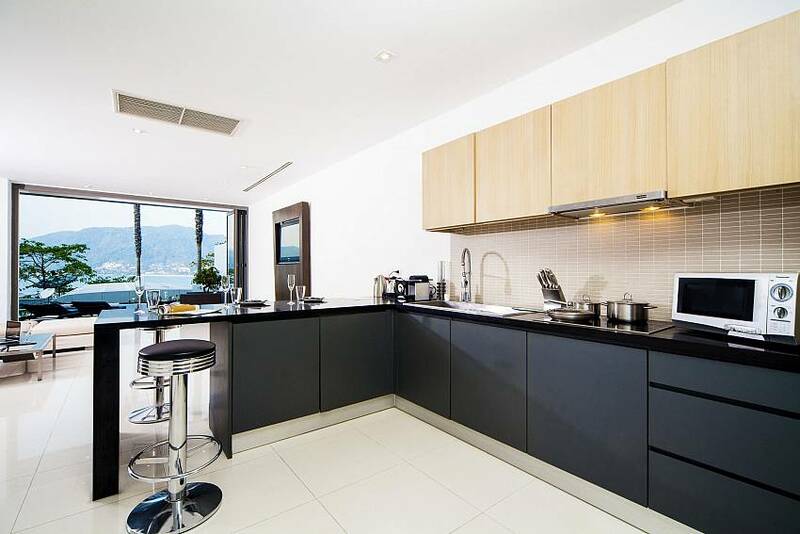 The dining area is a large breakfast bar with comfortable seating for four people. 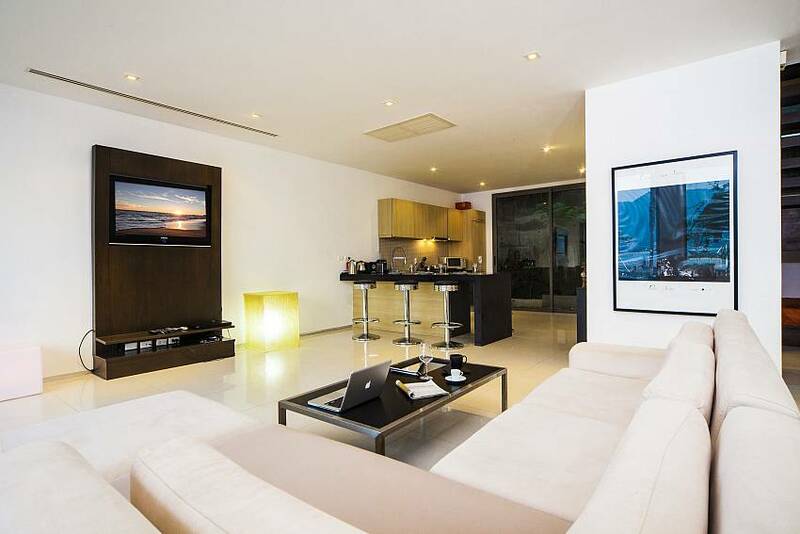 There are contemporary artworks and ornaments to enhance the ambiance. 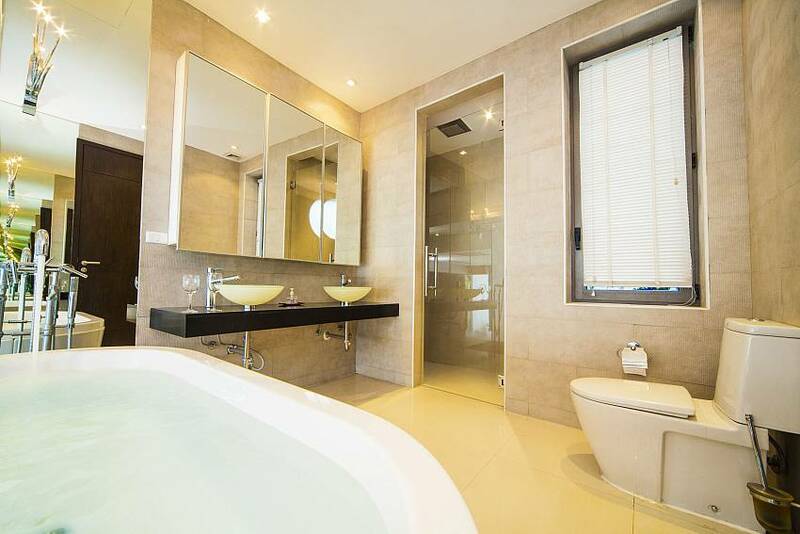 On the next level of the villa, you will also find two double bedrooms with ensuite bathrooms. 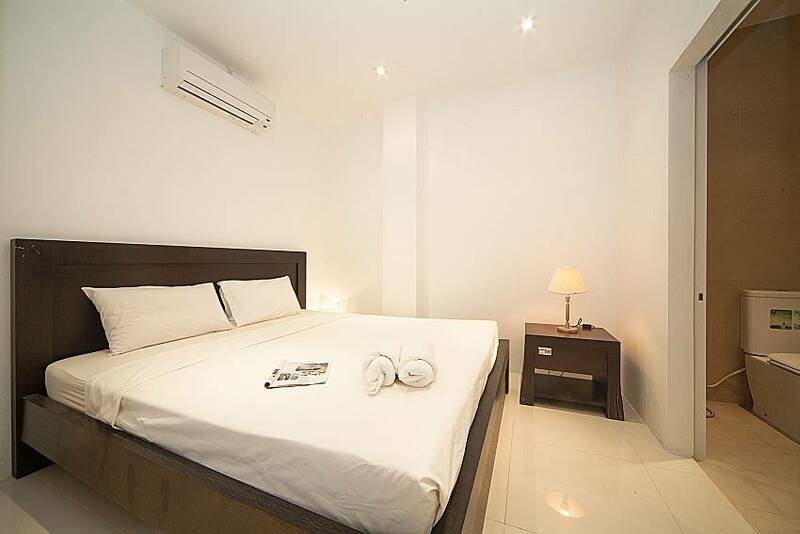 The master bedroom has a large bathtub and shower, the second double bedroom an enclosed shower. 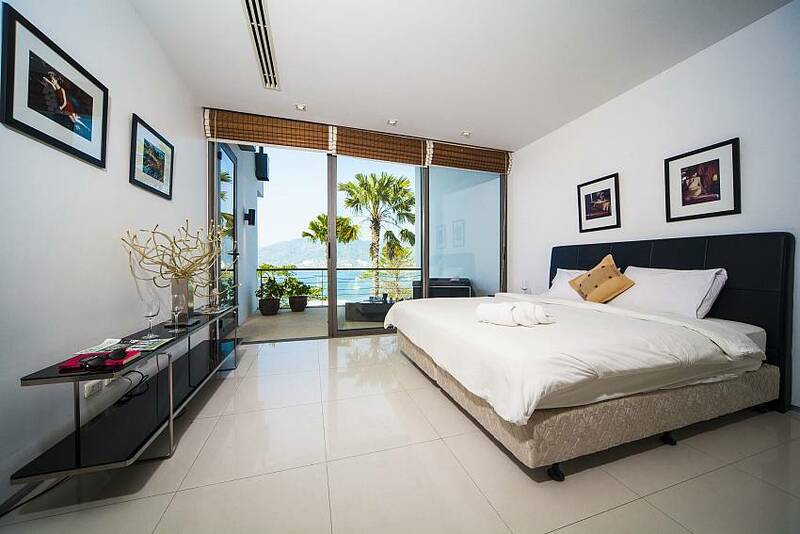 Those two bedrooms share a terrace with a seating area and views across Patong Bay. 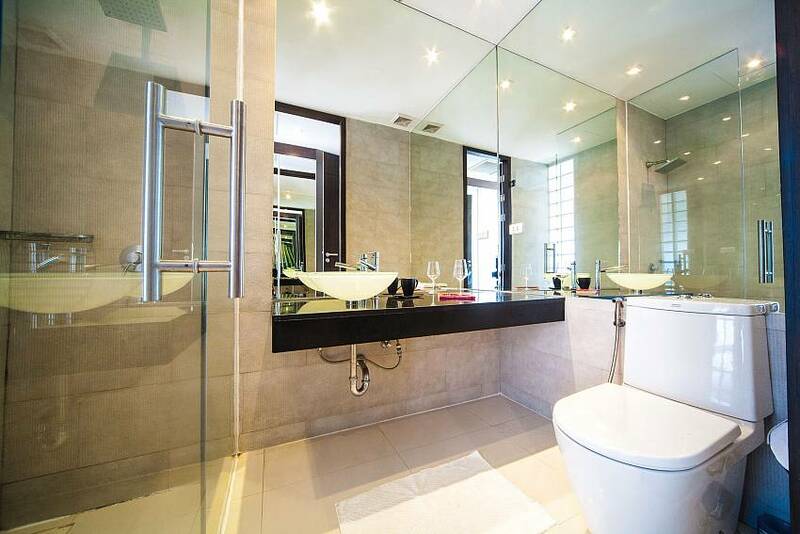 A third double bedroom is annexed and has a separate entrance from the garage, plus its own en suite bathroom. 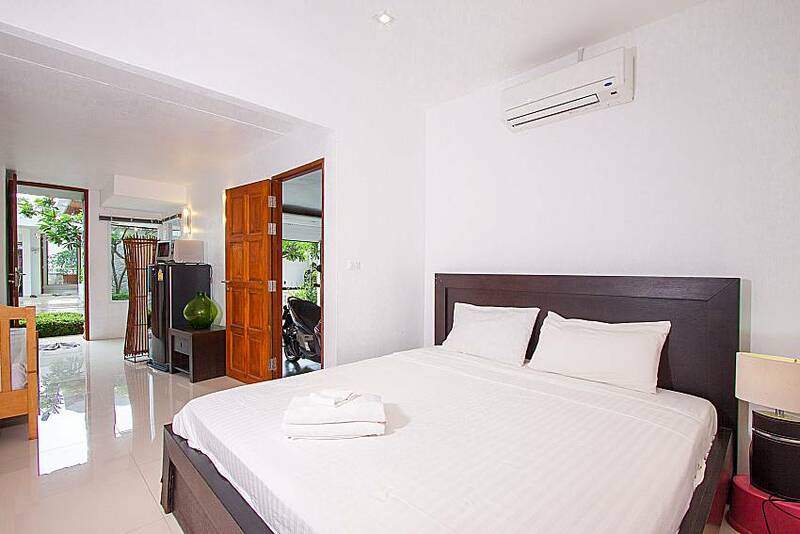 The great thing about the location of this villa is that you are only 1.5km from Patong Beach, while remaining situated in a private and peaceful estate. 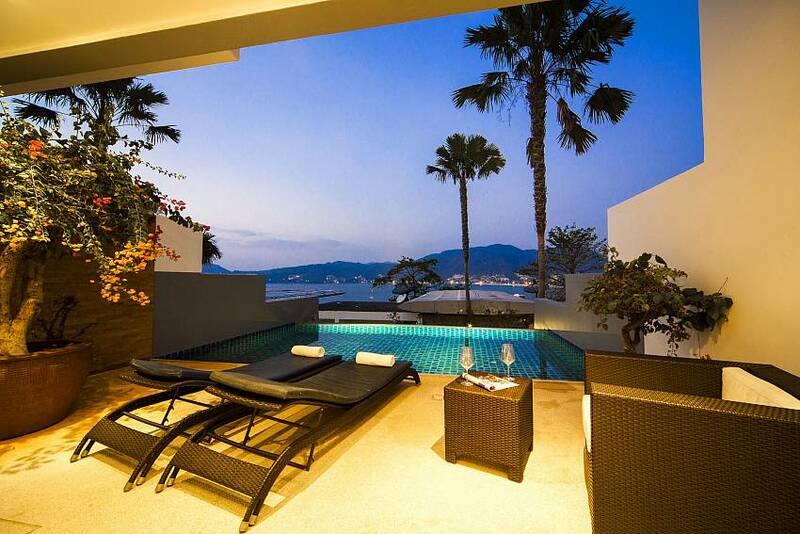 The villa sits on the hill above Patong and is within easy reach of Tri Trang Beach, Paradise Beach and Patong Beach. 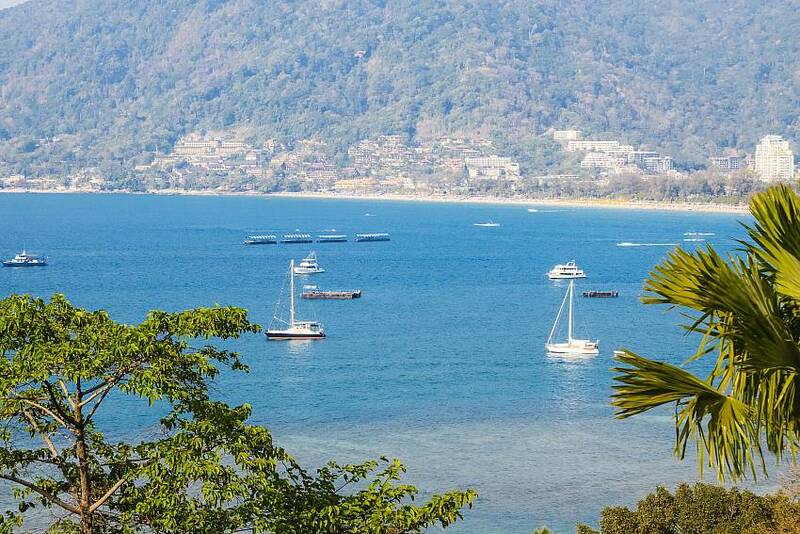 Five minutes’ drive takes you to the bright, vibrant nightlife of Patong. 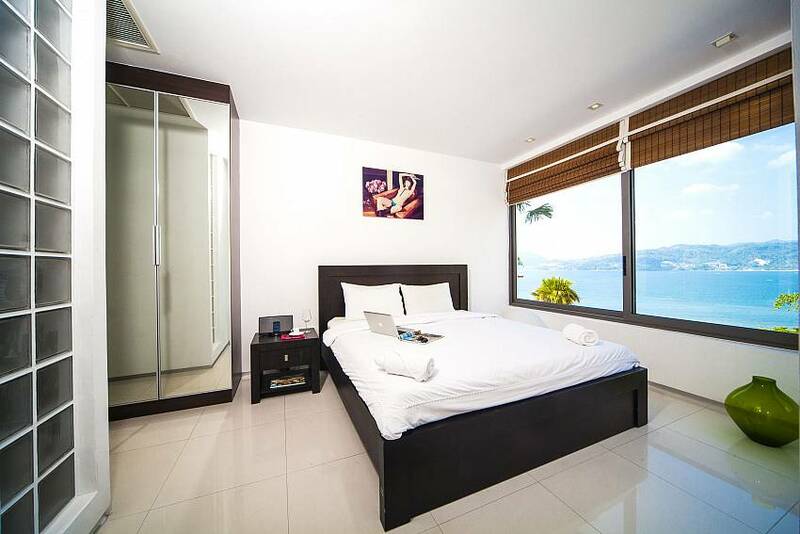 This is a perfect location for people who want easy access to nightlife, shopping, restaurants and other Phuket attractions, while enjoying the tranquility of sea breezes and ocean views. 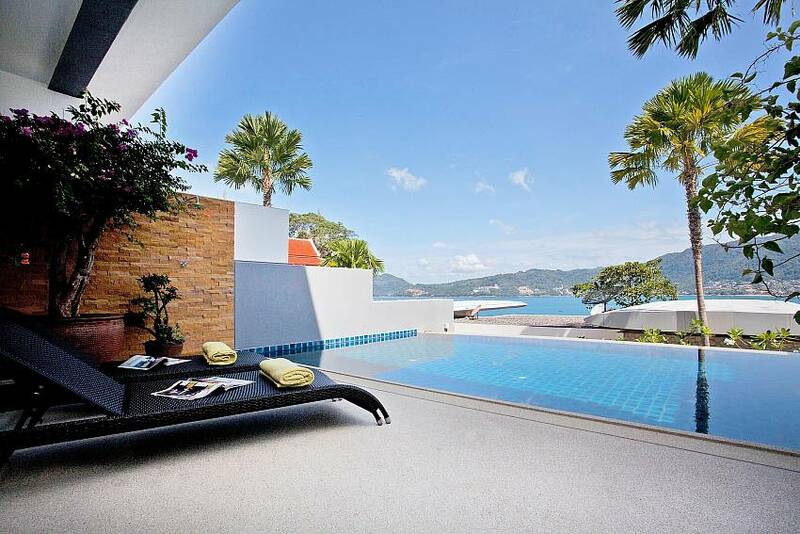 Browse our full listings of villas in Phuket here.